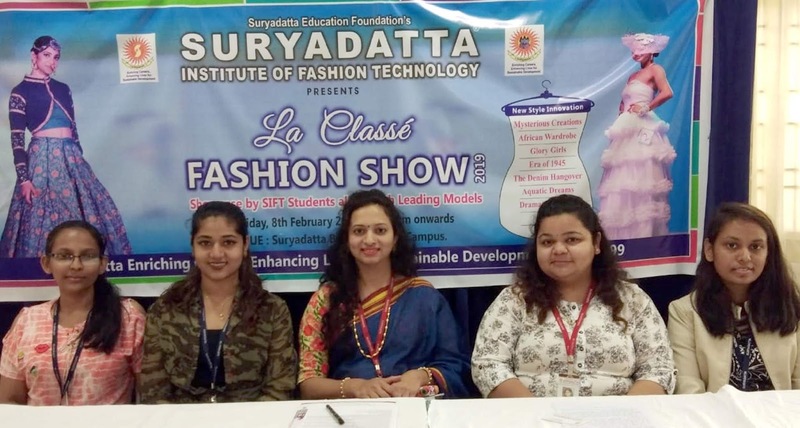 PUNE : Suryadatta Education Foundation's Suryadatta Institute of Fashion Technology (SIFT) organizes the La Classe, 8th Annual Runway Fashion Show will be held on February 8th from 5.00 pm onwards at Bavdhan Campus, Pune, informed Renuka Ghospurkar, Head of SIFT Pune. Every year a fashion show 'La Classé' conducted in an exhilarating atmosphere full of glamour and glitter. Dozens of celebrity models from tinsel town Mumbai showcase the apparels designed and stitched by the students of SIFT. A large number of celebrities from the fashion world and film industry enhance the charm of the show with their presence. Every year there is a different theme for designing the apparels and students complete a thorough research before creating mind boggling designs, she added. As per our philosophy we always encourage the all level strata to built their own pathways and for the same we are going to invite few girls from the various NGO’s those who are really deserve to explore with the new ideas and innovations by updating their knowledge through this medium and for them the entry passes will be free, she further said. As our tagline suggests “New style Innovation”, this year we have surprises for audience as we have celebrity walking the ramp along with top models of India. In 2019, Students if SIFT will showcase 9 different themes and working on different aspects such as different manipulation techniques, Surface ornamentation techniques and embellishment techniques. The students are inspired by Insects, African tribes, Banjara tribes etc. They are developing the outfits by using denim, Can Can fabric, Khun fabric and many more. Students would drape the models with their designed outfits, accessories and jewellery accordingly. This event will open vast opportunities for young designers. Fashion show is an apt event to promote youth & thus contributing to our goal as an organization. 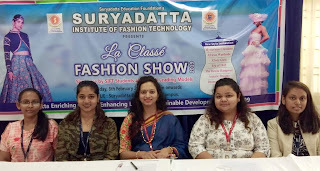 Suryadatta Institute of Fashion Technology (SIFT) provides students with newer options to discover more possibilities in their career through various courses. Please contact for further details Ms. Renuka Ghospurkar, Event Coordinator, Mob. 8956943824.